Home / Containment / CW 2015-16 season / Event Series / The CW / Containment: Cancelled but still worth watching? Oh… the CW… the most baffling network of them all. I’ve spent more time analysing programming decisions on this net than any other. Even if I don’t agree some make sense (comic book superheroes are popular, let’s make 100 shows about them), but some of them are a bit confusing... (let’s pretend Crazy Ex Girlfriend is a hit). Overall, I can tell the CW is riding the superhero wave and adding a few “hit” female oriented comedies for good measure, while moving away from supernatural-teen shows (The Vampire Diaries). In this context, I have no idea where Containment was supposed to fit [guess it didn’t since it just got cancelled]. Maybe it was under the “let’s keep the relationship with Julie Plec going” category. Whatever the case… there will be no more Containment. It will remain an “event series” [AKA a MINISERIES]. 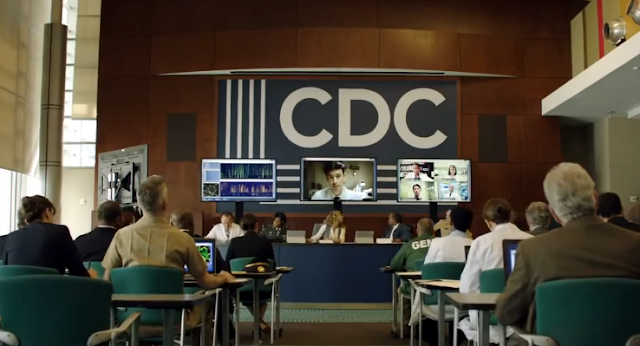 Containment is The CW’s newest series, about an epidemic breaking out in Atlanta which leads to a quarantine of the infected area of the city. The network calls it a “limited series event”...basically meaning that they never expected it to perform well enough for renewal. Instead they’re spinning it as a miniseries with a proper ending - after all, a story this extreme can really only end with everyone dead (and no, they aren’t turning into zombies) or everyone cured. The pathogen appears to be a form of bioterrorism: an avian flu that’s been genetically altered to allow human transmission. Patient Zero is a young Syrian man who entered the country illegally. A vial was discovered with his belongings that had traces of “a biological agent” (but not necessarily the biological agent?) therefore “we assume that he brought the pathogen into the country, and into the hospital”. Apparently, vague biological testing, an illegal from the Middle East, and a myriad of assumptions are enough for those in charge to decide they don’t need to check out any other possibilities. My theory: it wasn’t him. Perhaps it was the original attending doctor, or her boyfriend, or someone not yet discovered? Even the teacher questions the time-frame of some of the deaths and is brushed off...and yet the explanation she’s given (people deteriorate at different rates) actually lends credence to the idea that it could be someone else. And about those “spacesuits”: why is hardly anyone wearing biohazard suits? Even after the doctor says they’re dealing with something “extremely pathogenic, highly contagious, and fatal in 100% of its victims”, police going to pick up the infected are in nothing more than riot gear with a face shield on the helmet (if they bother to pull it down). I know the CW likes to show off the good-looking guys, but seriously? Within the supposedly restricted area of the hospital (kids and the teacher seem to be in there a lot), most people wear only a face mask and gloves. The only ones in biohazard suits are the janitorial staff in the background of every quarantine area scene, industriously cleaning the blood-spattered isolation cells. And the people in isolation are apparently not provided with tissues or towels; always being shown with blood all over their faces, clothes and hands. By the end of episode three, things are pretty bad in Atlanta: the reporter is leaking video showing what’s really going on inside the perimeter, the cops have shot their first civilian, and the backlash is beginning against citizens from the Middle East. In response, the government decides to cut off all phone/Internet to those inside (not quite sure if that's totally possible - what about satellite connections?) But wouldn't that just create more panic, on both sides? Extremely helpful information particularly the final phase :) I deal with such info much. revisiting. I wonder how muhh attempt you set to create the sort of wonderful informative site.